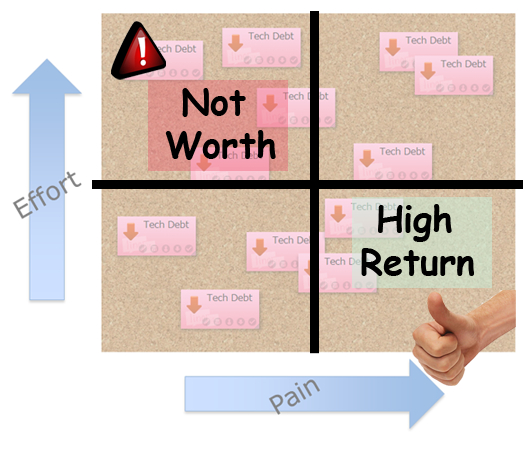 Fabio Pereira uses this method to help teams quickly prioritise tech debt. 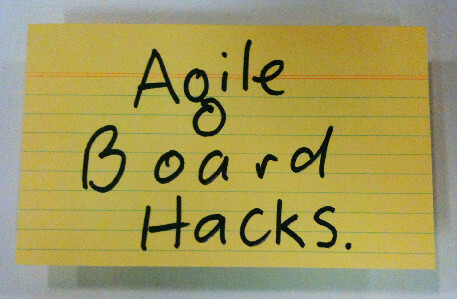 In this example, the team held a Tech Debt retro where they brainstormed all the technical debt they thought they had accrued since the start of the project. 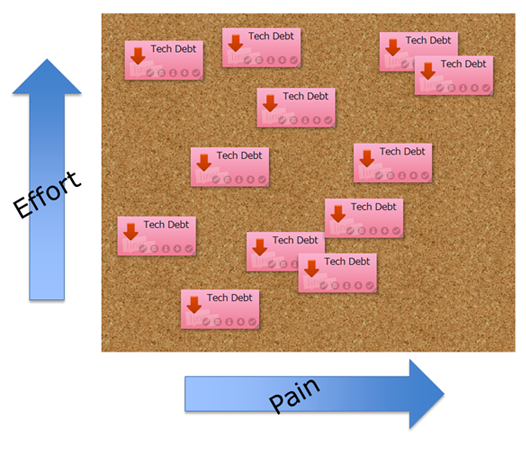 “Technical Debt” is postponed work created when a team takes some technical shortcuts in order to get a solution out fast. These shortcuts create a “debt which must be paid back later. It’s often hard to know where to start on addressing this “debt”. This made it easy for them to decide what to tackle first. “Lets start on the high value work which takes the least effort”!